We’re all about making sure you have a great customer experience. Our expert consultants will go out of their way to support you – by phone, email or in person. Call us at 609-730-1049 or email us at info@lindenbergergroup.com today to learn how we can help you. No single person can specialize in every aspect of a company. This tenet holds true in Human Resources, which encompasses several critical functions: from recruiting and staffing to training and development to payroll and compliance. Even seasoned human resources professionals need expert guidance on occasion. That’s why The Lindenberger Group has recruited a diverse team of experienced human resources professionals. Our consultants have college degrees and average at least two decades of HR experience, with various specialties, working with different industries. Founder Judy Lindenberger has selected each for his or her specific strengths and how they complement the firm’s culture of delivering results while respecting client budgets. Our consultants embrace a team approach to solving challenges. 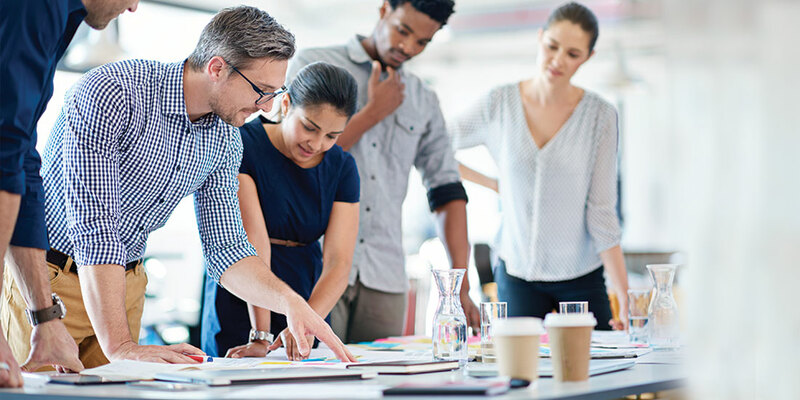 Together, we help clients in New Jersey, New York, Pennsylvania and beyond transform human resources into an essential part of your business strategy. We may help a business owner in Mercer County create job descriptions and a new employee on-boarding process. Or we may partner with the HR department of a Philadelphia corporation to review their compensation and benefits packages. In every case, we offer flexible and affordable access to objective, senior-level HR expertise. Call us at 609-730-1049 today to learn how we can help you. Judith Lindenberger gets leadership. She is the rare coach and trainer capable of coupling personal growth with professional development, which is why top companies and individuals invite her to work with them. Judy has more than thirty years of experience and is a a trusted HR specialist of the highest level. Her background includes designing and facilitating the first-ever sexual harassment prevention training for federal workers, conducting a comprehensive survey on workplace bullying, leading the management training department for a major financial organization, and creating a highly successful, global mentoring program for a Fortune 500 company which won the national Athena Award for Mentoring for two consecutive years. She is a certified career coach and master trainer. A must hear speaker at industry conferences and a published author, Judy earned a B. A. in communications and an MBA in human resource management. In her free time, Judy volunteers as a community mediator and child advocate. She is past Board Member, Philadelphia Society of People and Strategy, past President, Dunham Hall, Board of Trustees, past Vice President, Hopewell Valley Regional School District., past Vice President, YWCA Trenton, Board of Trustees, and past President, SERV Achievement Centers, Board of Trustees. Ramona Adkins has worked as a human resources generalist for over fifteen years and has been a member of the Society for Human Resource Management. She earned a Bachelor of Science degree in Human Resources from LaSalle University. Ramona’s background includes all aspects of human resources including employee benefits, recruitment, employee relations, compensation, HRIS and performance management. She has expertise in retirement plans as well as health and welfare programs. She is up to date on state and federal legislation including ADEA, ADA, Civil Rights Acts, COBRA, ERISA, FSLA, FMLA, FUTA, OSHA, and Wage and Hour laws. She has particular expertise working for family run businesses and in the marine transportation field. 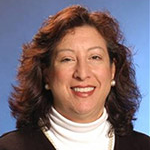 Ramona has conducted open enrollment sessions, written job descriptions, was a member of the Human Resources Integration team during a merger/acquisition, managed terminations and layoffs with respect and handled confidential information using strong communication, organization and team building skills. She is computer literate and is skilled in MS Office Suite. 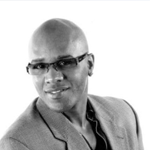 Charles Carrier has had a diverse career which includes Human Resources Management, Executive Search, Corporate Finance, Operations, Sales, Learning & Development, and Project Management. Charles has a Bachelor of Arts degree in Political Science and Spanish Literature and earned a master’s in business administration with a concentration in finance for New York University Stern School of Business. Charles has been a managing partner in a boutique executive search firm that globally serviced large corporate pharmaceutical, clinical research, medical device, and medical diagnostic companies. Additionally, the firm provided executive search and human resources consulting services to small to medium sized firms. Charles’ career has included providing counsel to management in areas such as compensation, employee relations, performance management, talent acquisition, change management, workforce planning, onboarding, retention, learning & development, project management and social media. He has also developed and delivered training programs such as behavioral interviewing, core competency interview & selection, recruiting, and diversity & inclusion. 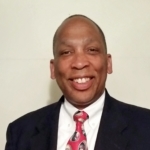 Prior to joining The Lindenberger Group, Charles was a Human Resources Consultant for a Chinese-headquartered company, a Human Resource Management professional at Quest Diagnostics and Genpact as well as a corporate finance executive at JPMorgan Chase. Charles is a native New Yorker and has lived in New Jersey for over 24 years. Ken Blackwell cuts through the clutter to help clients identify the critical keys to enhancing their effectiveness and improving their productivity. Whether working with individuals or international corporations, Ken has the focused ability to translate their abstract visions into concrete results. An expert in the 360-Degree Feedback process, Ken has coached hundreds of senior executives, enabling them to transform their feedback into focused action plans that deliver results and create long-term success. His clients experience revitalized growth, both professionally and personally. A certified coach and trainer, Ken has spent over 22 years working nationally and internationally with leaders from a wide range of industries including: Bayer Healthcare Pharmaceuticals, Blue Cross Blue Shield; Booz Allen Hamilton; Bristol-Myers Squibb; Campbell Soup Company; Chase; Dallas Morning News; Haliburton; Johns Hopkins University; Knowledge Group (Malaysia); L’Oreal; Maritronics (Dubai, UAE); Nabisco; Norwegian Cruise Line, Novartis (Malta); Ocean Spray; PepsiCo; Roche Molecular Systems; Rohm & Haas; Saint-Gobain; Schering AG; Sino Saudi Gas Limited (KSA); Transportation Safety Administration; US Army; US Marines; US Navy; Verizon and W.L. Gore. Ken is a sought after speaker and has presented at a variety of organizations including: ASQ, ASTD, Organizational Development Network, SHRM and many corporate conferences. He has also appeared as a guest on CN8’s Money Matters and ABC’s Good Morning America. Cory DiSalvo, Consultant, has been in human resources for over twenty years, with the majority of her experience being in the retail industry. 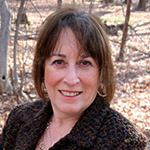 She earned a Bachelor of Science degree in Business Administration from Montclair State University. Cory is a member of the Society for Human Resource Management. Cory’s background in human resource administration includes employee benefits, HRIS, compliance, policy and procedure, payroll, compensation and mobility. Cory has implemented new technology to implement HR processes for more efficiency. She understands the interfaces between HR and payroll, she has conducted open enrollment sessions, monitored open enrollment through technology, aligned employee benefits and HR policy across multiple brands and consolidated multiple retirement plans. Cory has been involved in acquisitions, managed terminations and layoffs, and is capable of handling confidential information and working with employees at all levels of an organization. Cory is skilled in MS Office Suite and with several ADP product lines. Jacqueline England is a Senior Human Resources Consultant with over twenty years of experience in all areas of human resources including performance management, career and leadership coaching, training and development, compensation, employee relations and recruitment. Jacqueline continuously participates in professional development, which allows her to offer quality services to her clients. Jacqueline takes a multifaceted approach to ensure that she is accommodating the needs of her clients and excels at building trust quickly. She has held leadership and individual contributor human resources positions in the financial services, non-profit and health and wellness industries, as well as providing consulting to small businesses, entrepreneurs, large corporations and nonprofits. 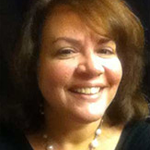 Jacqueline has a Bachelor of Arts degree in Psychology from Bloomfield College, has studied Mental Health counseling at the graduate level, and completed the certification course in Leadership Coaching with Philosophy IB at Rutgers University. She is known for effectively helping business leaders and employees resolve complex and simple issues that impact their day-to-day business performance and results. 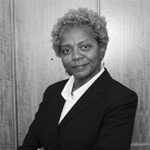 Dr. Harrison-Jackson has held a variety of teaching and leadership positions within the education field. He is an expert trainer and has designed and conducted training on a variety of topics including communications, EEOC, workplace diversity, resiliency, performance management and team building. 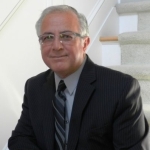 Joe Leotta has had a diverse career which includes Human Resources Management, Executive Search and Career Management Consulting. He is a graduate of Fordham University. Joe has been a partner in a boutique executive search firm that services several consumer products organizations. He is also a consultant for a global career management firm, delivering career transition workshops and individual coaching for senior candidates in the New York/New Jersey area. Throughout the years, Joe’s experiences have included providing counsel to management in areas such as compensation, employee relations issues, performance management, recruitment strategy, onboarding, streamlining Human Resources processes and necessary staff reductions. He has also delivered training programs in supervisory skills, selection interviewing and relevant employment laws that relate to employee handbooks, sexual harassment and discrimination in the workplace. Prior to entering the consulting world, Joe was a Human Resource Management professional at Paramount Pictures Corporation, Unisys Corporation and also served as an officer in the U. S. Army Military Intelligence branch. Joe is a native New Yorker and has lived in New Jersey for over 30 years. Dr. Levin, a psychologist with more than twenty years’ experience, understands peak performance. Whether in the gym, the boardroom or the cockpit, we all need to learn to perform at our best. As a licensed psychologist, certified flight instructor, and personal trainer, she is uniquely qualified to understand the needs of individuals across a range of activities whose lives or livelihoods may depend on quick thinking and clear decision-making. In her work with individuals and groups, she deals with issues ranging from stress management to career transition to balancing work and family. As an FAA certified flight instructor, she also works with flight students and pilots to develop the mental toughness needed in the high-pressured environment of an airplane cockpit. In her health and fitness work, she is experienced both in lifestyle management and in rehabilitation psychology, helping many injured individuals cope with temporary and permanent physical limitations and return to optimal levels of activity. As an Adjunct Professor of Psychology at Temple University, she teaches the capstone course, Psychology in the Real World, helping senior majors formulate their career goals. Judy Mascio has performed in a Senior Human Resource role in both corporate and entrepreneurial environments. Judy earned a Bachelor of Science in Business Administration from LaSalle University and a Graduate Certificate in Organization and Productivity Management from Temple University’s Graduate Business Program. Judy has an impressive and diverse background in Human Resources including building, from the ground up, several HR organizations in rapidly growing companies. Judy’s experience also includes the planning, design, and administration of employee benefit programs. Judy has also worked through several acquisitions including membership in the General Electric acquisition team of Colonial Penn Property Casualty Insurance Company and helping to facilitate the seamless acquisition of Burlington Coat Factory by Bain Capital. Judy has extensive experience in performance management, employee relations, designing and implementing change initiatives, authoring employee handbooks while maintaining significant expertise in multiple state employment laws. Judy’s resident expertise also includes developing and presenting union avoidance programs, on-boarding programs, coaching management regarding workplace issues and developing methodologies and tactical implementation for multiple reductions in the workforce. Judy is an active member of the Society for Human Resources Management, keeping current on changing laws, opinions and other matters related to the Human Resource Profession. Judy is computer literate and is proficient with MS office products and Human Resources Information Systems. On a personal note, Judy is an avid fund raiser for the Delaware Valley Chapter of the Alzheimer’s Association and has been named to the Champion’s Club for her fund raising efforts. Jody Rennie has over twenty years of experience managing technical and manufacturing projects both while serving in the United States Air Force and in the private sector. She provides professional development training design and facilitation, and executive coaching, in the areas of project management, process improvement, policy, conflict management, change management, communications and team building. Jody earned a Masters of Administrative Science degree from The Johns Hopkins University and a graduate level certificate in Supply Chain Management from Lehigh University. She is a certified Project Management Professional (PMP). After retiring from the Air Force, Jody managed multiple, multimillion-dollar power industry equipment projects for SPX Heat Transfer and was a “super user” for several major transitions to new workplace technology programs. Like the members of The A-Team, Jody loves it when a plan comes together and although most of the projects she led weren’t as explosive as the projects executed on television, she recognizes that each project is unique and requires its own plan and leadership approach. She excels at proactively pulling all the details of each project together. She conducts workshops in the areas of performance, change and time management as well as optimizing team dynamics and work/life balance. In addition to being a member of The Lindenberger Group, Jody is currently an adjunct professor in the DeSales University MBA program where she teaches the Foundations of Supply Chain Management course. Outside of work, Jody volunteers with work teams in Costa Rica to help with CEDCAS building projects and with the local high school theater program. She enjoys spending time with her husband, their three kids and traveling to new places. Linda Weinzler is a skilled instructional designer, facilitator, leadership and organizational development consultant, and executive coach with over twenty-five years of working with all levels of leaders, business professionals and teams in a wide range of industries including pharmaceuticals, financial services, technology, energy and operational efficiencies, retail, professional services, construction, and government agencies. As a consultant, Linda has established close partnerships with clients and has earned a reputation for creating intellectually stimulating and highly interactive learning programs that produce business results. As a VP of Learning & Development with a global financial services firm, Linda managed a team of 25 learning professionals who designed and implemented a multi-tiered functional curriculum and professional development programs. She has also designed and facilitated multiple certification programs to ensure that content experts and trainers apply adult learning principles in the classroom. Linda’s effectiveness as an executive and team coach is a result of the powerful combination of her education and leadership experience. She holds an M.A. in Organizational Psychology and Counseling; has over twenty years of leadership and organizational development experience; and over seventeen years of management experience. Linda’s work has been both domestic and international in scope and includes assignments in North and South America, Europe, the Middle East, and Asia. 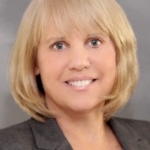 Linda is an active member of the Association for Talent Development, the Society for Human Resource Management, and the New Jersey Organization Development Network. Carol Wolkiewicz is an accomplished and highly versatile HR professional with more than twenty years of experience leading successful teams and programs across a wide range of HR disciplines including Learning, Leadership and Organizational Development, HR Shared Service Operations, Talent Management, Site Consolidations, Employee Relations and Recruiting. She has helped to drive performance and results for large global organizations, supporting employees at all levels from entry level to executive, and a range of businesses including sales, operations and technology. A highly valued business partner and advisor, Carol has counseled senior leaders during periods of rapid growth and expansion, as well as during times of business and workforce contraction. She employs a disciplined but creative approach to problem solving, and uses excellent teaming and consensus building skills to forge strong, productive relationships across organizations. During her tenure within the Learning function, she was responsible for training the field trainers. In that capacity, she conducted certification programs to ensure that trainers were applying the principles of adult learning and maintaining the integrity of the courses as intended. Active in both her profession and her community, Carol is a member of the Society for Human Resource Management (SHRM), and is a group facilitator for Good Grief Inc., providing families with a safe space to cope with personal loss. Additionally, Carol is a volunteer career coach for the New Start Career Network where she provides support to long-term unemployed, older workers through one-on-one coaching in effective job search strategies.